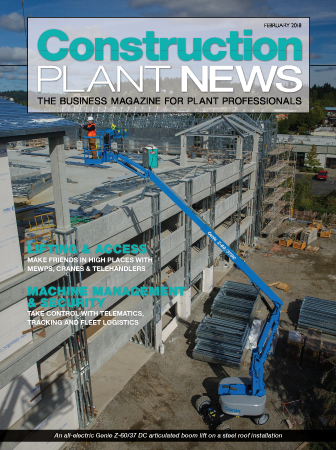 To make sure you never miss an issue of Construction Plant News, fill in your details here and we’ll send you a regular free copy in the post. Please supply us with the first two letters of your mother's first name. We need this information for audit purposes on our ABC circulation. Unsubscribe any time by emailing circulation@hamerville.co.uk or call 01923 237799. Appointed editor of Construction Plant News in 2013, Lee is able to get to the very heart of the issues that really matter to plant professionals. 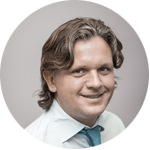 His considerable b2b journalism experience means he has a keen insight into this diverse and fast paced industry. Lee joined the Hamerville Media Group in 2004 as an editorial assistant after graduating from Cardiff University with a BA in English. He became deputy editor of Professional Builder in 2007 and has worked tirelessly since to bring the most informative and engaging stories to readers. Having become very interested in construction equipment as a child, Nick gained an honours degree in Mechanical Engineering whilst working with the Plant and Transport department of a major UK building and civil engineering contractor. When in the construction industry he was employed as a Plant Advisory Engineer evaluating machines for purchase and for use on site. 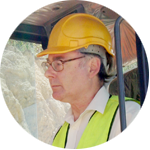 He joined the construction press in 1980 and, having successfully edited leading construction plant and plant hire publications, he brings to Construction Plant News an enviable wealth of knowledge of these specialist sectors together with a real passion for machines. To download the media pack, please enter your details below.